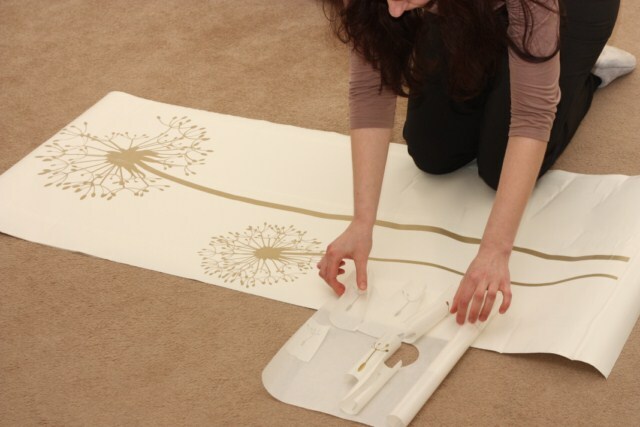 Wondering how to apply a vinyl decal? It is easy. It can be applied by following a few simple steps. To help ensure your success, we include a practice vinyl graphic with every purchase. Before you start to apply your wall stickers we suggest you take a minute to prepare yourself and read these instructions through fully. Help of another person makes application much easier. Clean the area where you will be placing your sticker. Ensure it is free from dirt & grease. 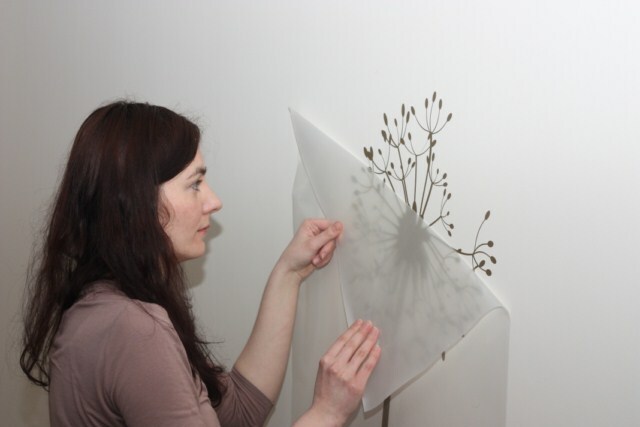 We recommend mounting your wall decal within 14 days , otherwise the adhesive may lose its adhesive power for emerging air bubbles between backing paper and transfer film . Thus , the wall decal is produced exclusively and customized for your purposes only! Need a change? No Problem! 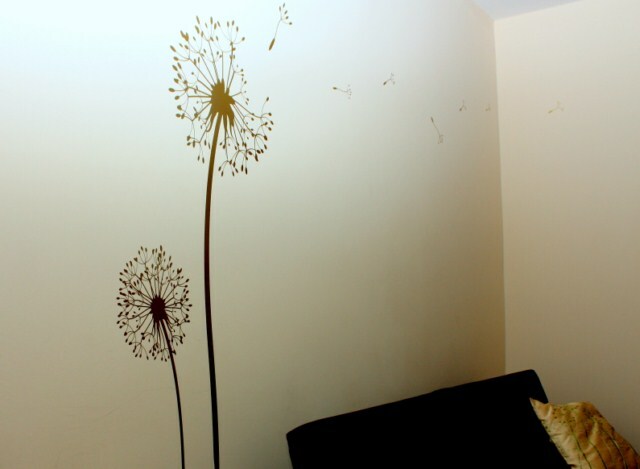 Our decals can be removed from your wall easily and without any residue! The temperature of the base coat and surroundings need to be at least +20°C. 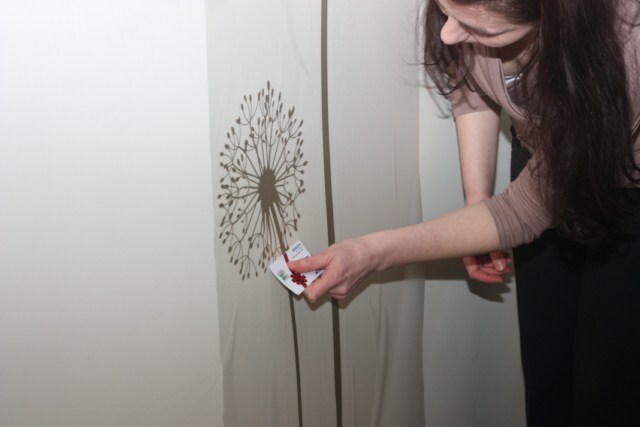 Use a knife or tweezers to gently ease the foil off the wall and remove the decal slowly at a sharp 180-degree angle. To ease the process just use a hair dryer to warm the foil. Clean the destination surface and dry it thoroughly. If you are using artist's canvas, paint it first to ensure a secure application.Before applying your vinyl wall art make sure your wall is clean. If you are unsure how well the decal will stick to your particular surface, use a sample supplied with your purchase. It is our standard procedure to attach some free samples to try before apply your real decal. The product is made of three layers: the clear transfer tape, the vinyl decal, and the white grid backing paper. The vinyl decal may have pulled away from the transfer tape during shipping. Place the product (clear side up) on a smooth flat surface such as a table. Take a credit card and use the edge to rub firmly across the entire image. Start from the center and work out to the edges. This action will adhere the vinyl decal to the transfer tape. Try to work out any bubbles you see by pressing them towards the edge. Next, remove or cut the small masking tape sections along the edges. Tape one side (edge) of the backing paper/transfer tape to the destination surface. Lift the opposite side up using the tape as a hinge. At an angle, slowly peel away the backing paper underneath without touching the sticky vinyl. The vinyl decal should stay adhered to the clear transfer tape. If it starts to separate, help it stay together. After the backing paper is removed, slowly roll the sticky vinyl and transfer tape onto the destination surface starting from the tape hinge-side. Go very slow and work out any air bubbles with a credit card or your fingers as you go. After the image is on the surface, use your credit card and lightly rub the transfer tape from the center of your image to the edges to help remove any leftover air bubbles. Once again, rub the entire image applying pressure to adhere the vinyl to the surface. Gently peel away the transfer tape starting from one corner pulling down at a tight angle across the vinyl decal. Be patient and go slow. Once the transfer tape is removed you are done. Enjoy! We love to see finished products. Please email a picture to: shop(AT)broomsticker.co.uk. If your picture is included on our website or Facebook you will qualify for 15% off voucher on your next purchase. Thank you. If you fail to get out an unsightly air bubble you can often work it out with your fingers or credit card even after you are done. If you still are unable to remove an air bubble you can prick it with a needle and push the air out. Needle pricks are generally not visible unless you are very close to the decal. If you have any question don't hesitate to ask.